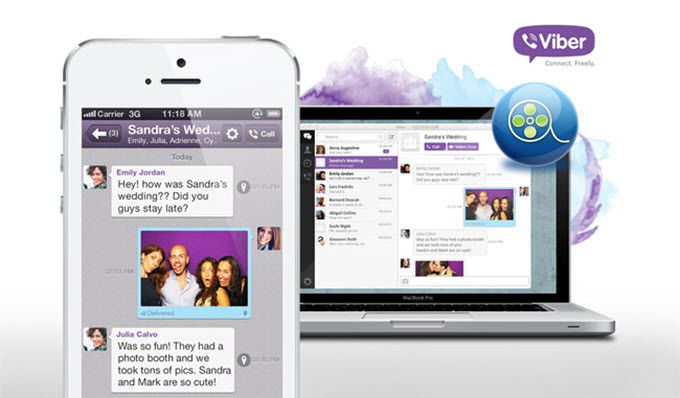 Viber steps into public eyes as an instant messaging and VoIP application with multiple free services in video call, text and photo messages. This app is available for both PC and mobile users, which is a great convenience for those who make video call on various purposes like tutorials and business conference. And many of them would wonder how to record Viber video call if they need to review an important meeting afterwards. Thus, here I would recommend several highly praised tools to record Viber video call on PC and mobile. This web-based screen recording tool is compatible for Windows and Mac. With one simple click to launch this application, you would find that Viber video recording is just a piece of cake. 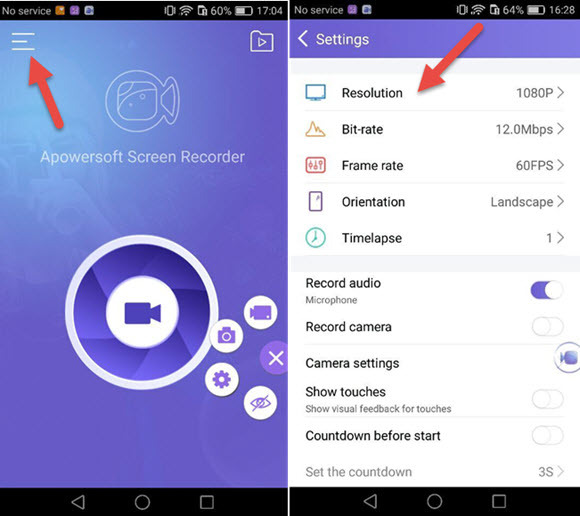 Applying this free screen recorder, you would enjoy unlimited time to record Viber calls with 8 video formats to choose. Audio would be captured from microphone and system sound, and of course you could also record one or neither of them. Additionally, simple edits like adding some important words and marks could be done during recording. Pros: Multiple video output formats for users to select and unlimited time of recording experience. Cons: It requires network to operate. 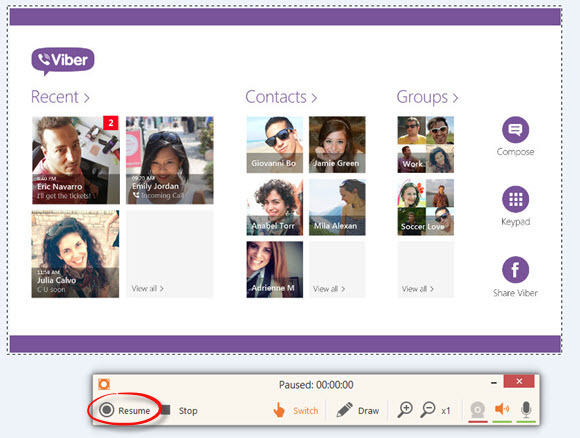 This application offers similar features to ShowMore for you to record Viber video call. You could download the right version for your computer (Windows or Mac). Also it can help you to take a screenshot on PC if you want. 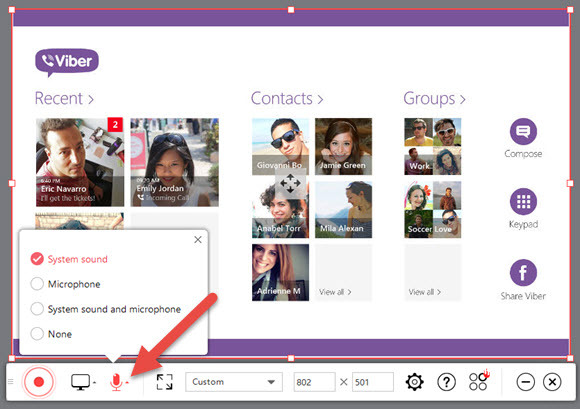 The recording task it bears would enable you to record video call on Viber automatically. But the free version only gives you 10 minutes to record. And the recording could only be saved as a WEBM video. Pros: It could schedule recording. Cons: Recording time is limited and it supports only one video output. This Viber video recorder provided by TechSmith enables you to record your Viber call with simple and clear operation. Windows and Mac users could download proper version on their PC. You cannot use it until registered. A picture could be captured as well as video. However, this simple recording tool only allows you to record a Viber call up to 5 minutes with single audio input. And SWF is the only video output format you could choose. Pros: Simple to operate, screenshot is also available. Cons: No real-time editing, limited time of recording would be a big demerit as for user experience. This is an application used widely by iOS users to capture screen of their devices. You can download a right version on your PC. It could be regarded as a Viber video recorder as well. Your iPhone and PC should be under the same network before iPhone screen is mirrored to PC via AirPlay. Not only could you record video calls on Viber along with audio from system sound and mic, but also you are able to take quick screenshots. Pros: Jailbreak is unnecessary and there are various audio inputs for you to choose. Cons: PC is required for running this application. 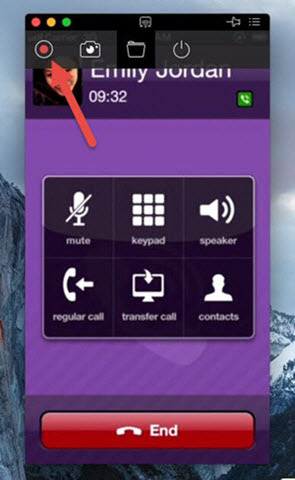 With no need to connect with PC, Display Recorder would offer you a feasible way to record Viber calls on iPhone. The video output types could be adjusted according to your needs. Once the recording is over, you could save it on your iPhone or upload to YouTube. Since this app is not available in App Store, you need to go Cydia Store to get it. Pros: Directly used in iPhone without connecting to PC. Cons: Jailbreak is required for iPhone users. This Viber video recording tool is meant for Android users to capture video calls they want to keep on Viber. Audio would be captured from microphone. You can search and download it from Google Play. 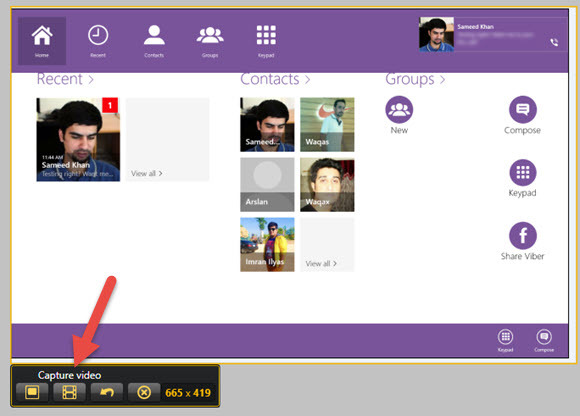 Aside from recording video calls on Viber, it could take screenshot if you want to share pictures with others. Besides, resolution and orientation are adjustable in light of your favours. Pros: Android users could enjoy video recording and screenshots. Cons: Only Android 5.0 and higher versions are accessible to this app. These ways for Viber users to record video calls are simple and useful, which provide great solutions for those who are in need of recording Viber calls. You could pick an appropriate one catering to your preference need to start.